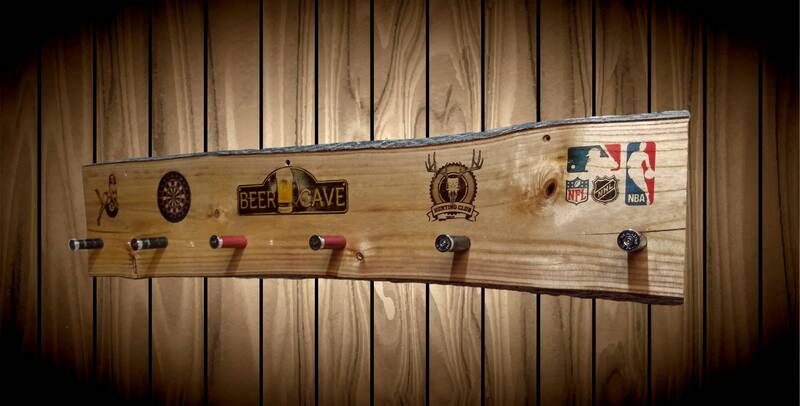 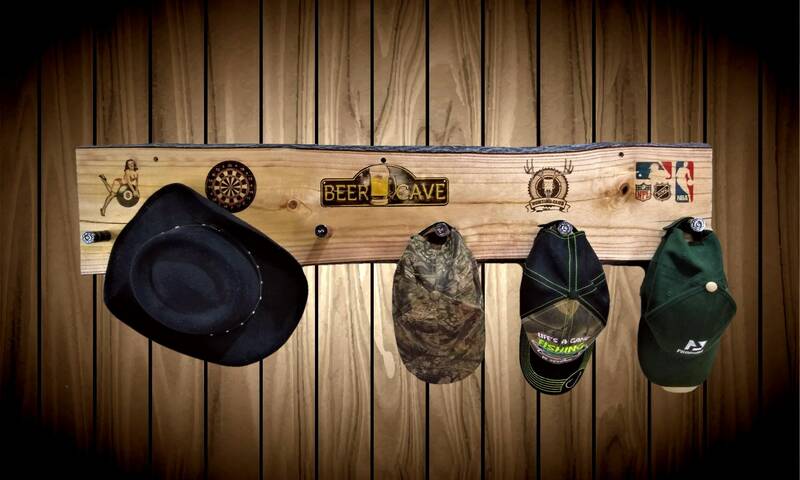 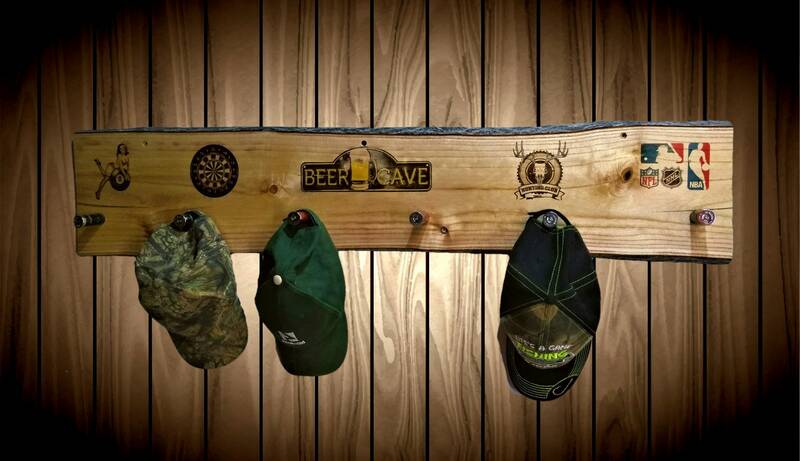 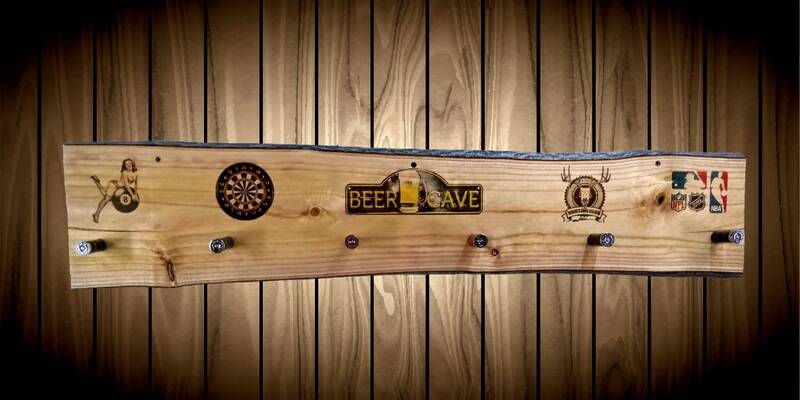 A Unique Beer Cave, Sports Hat and Coat Rack. 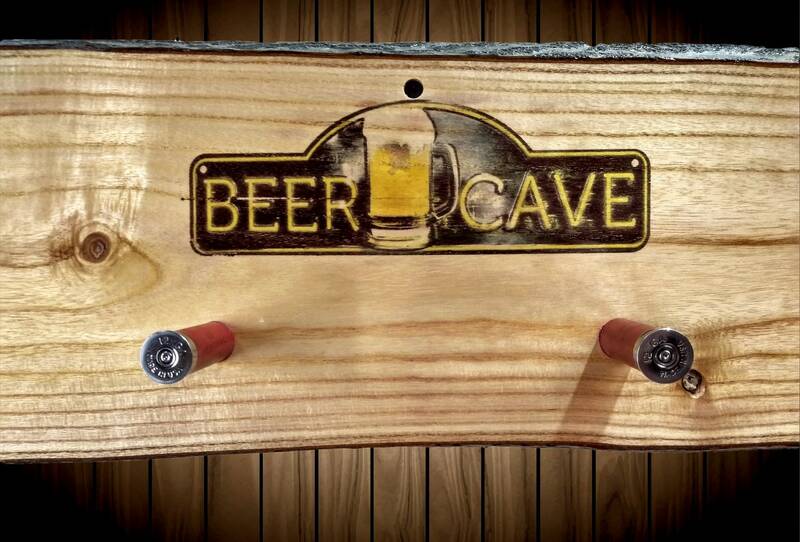 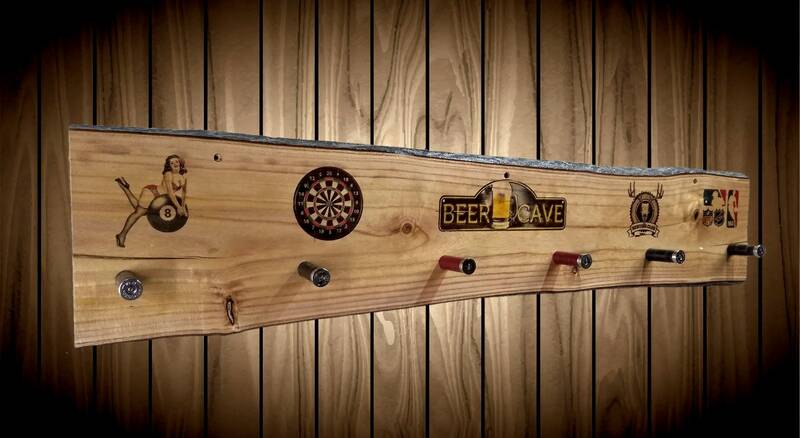 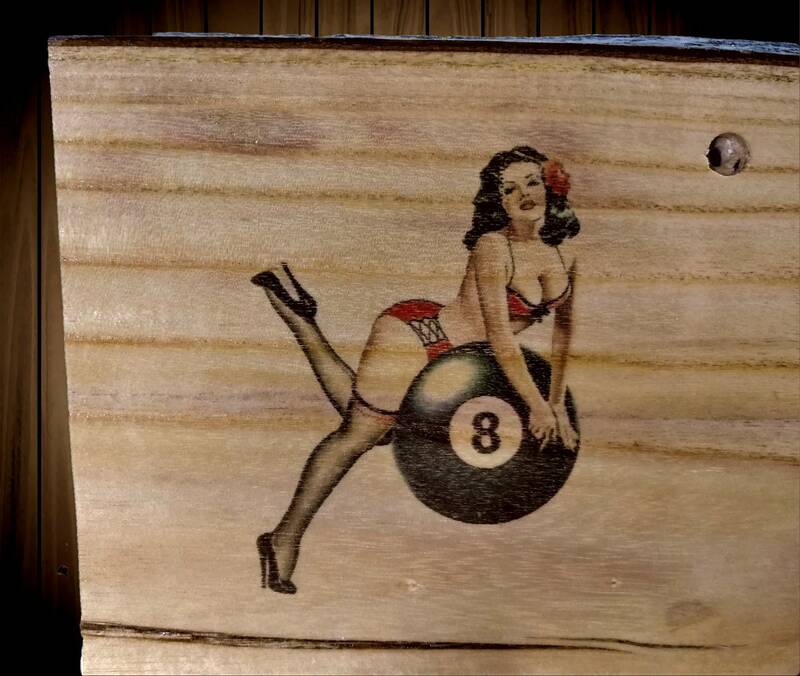 A Wonderful Piece Of Rustic Bar, Man Cave or Just Home Decor. 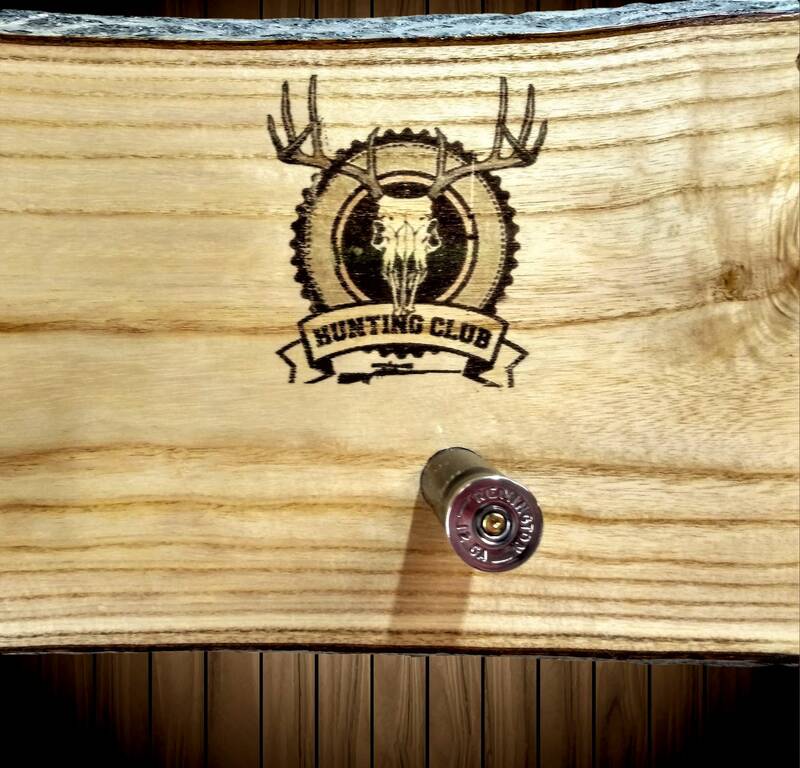 Six Red/Black over Silver 12 Gauge Shotgun Shell Pegs, Spaced Every 8 inches. 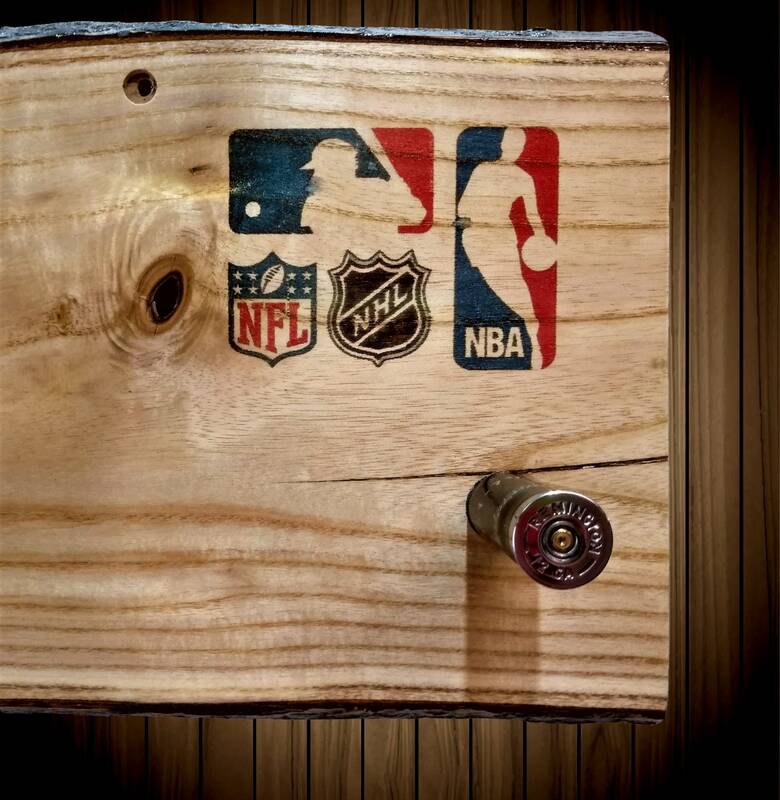 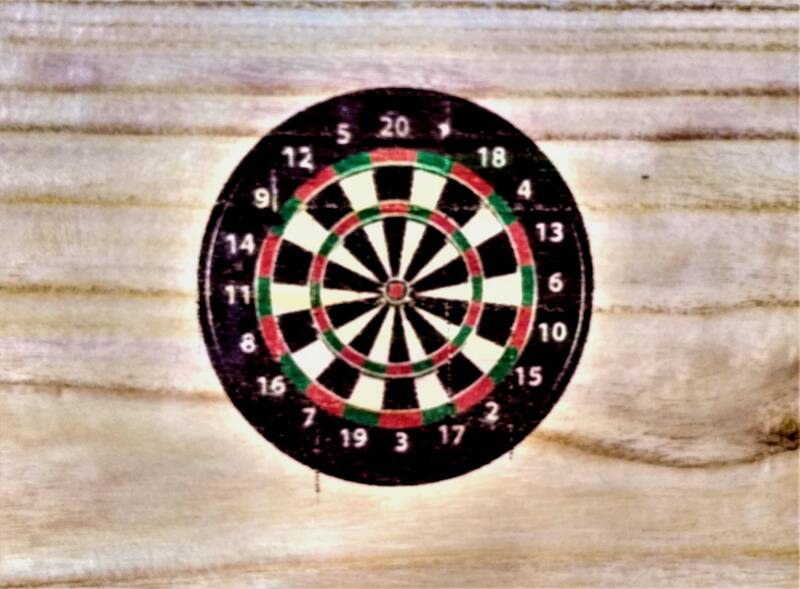 5 Colorful Sports Logos Printed On Wood.